Join us Monday, March 25th at 6:00 p.m. for our second TNR Collaboration Meeting. 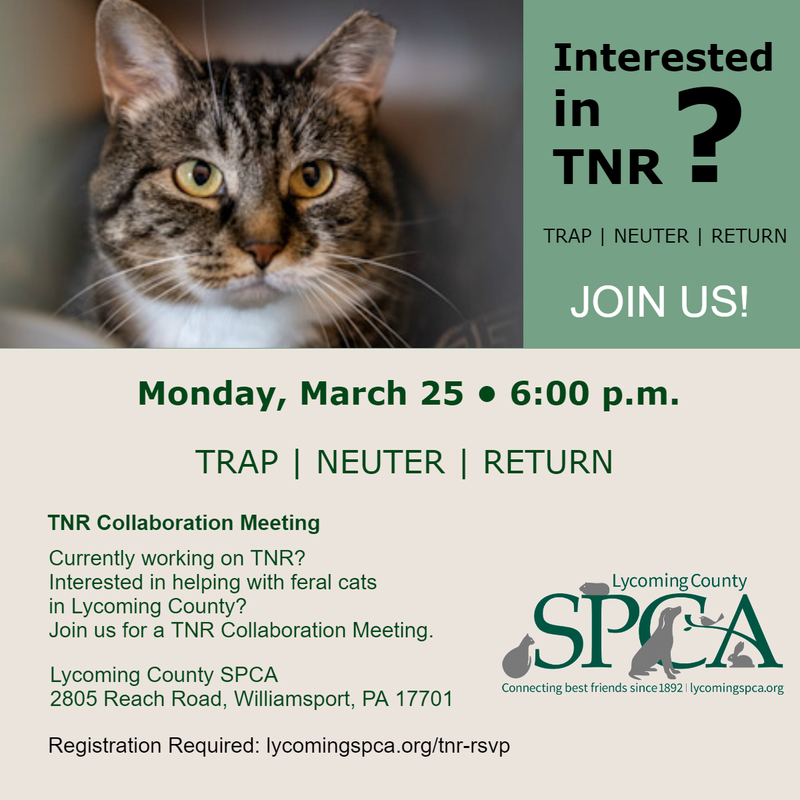 The meeting will bring together anyone who is currently working in TNR (trap-neuter-release) or is interested in helping the feral cats of Lycoming County. We look forward to coming up with great ideas to save lives!